Born and raised in a small New England town, my designs are influenced by the simple beauty of things around me. It might be a bird, bottle, shell, flowers, fruit, etc., shown either alone or in interesting combinations. Starting as a decorative painter in oil, watercolor and acrylic, I was later introduced to the beauty and portability of colored pencils. I loved the rich colors that I could achieve by layering. My background in watercolor helped me to do this in a logical manner. Pencil artists have their own techniques, and I strive for realism by building my values and colors, then blending with appropriate tools. One night, my husband said of a current project I was working on “I thought you were going to use the colored pencils I just gave you.” He was surprised when I explained that, yes, I had used my Prismacolor pencils, and they looked just like oil. In 2004, I was privileged enough to write a beginners watercolor book called “Fresh and Easy Watercolors for Beginners” published by North Light Books. It would appeal to people in the craft industry. 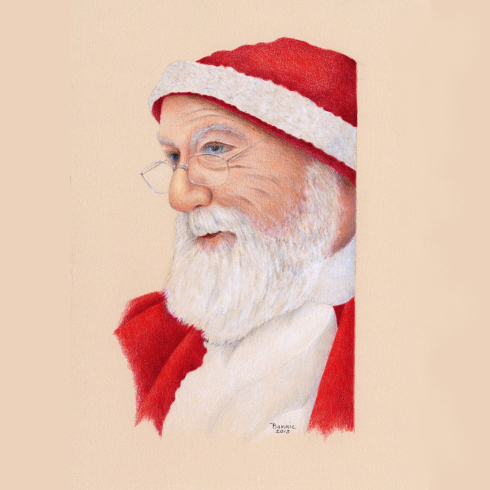 I gained credibility as a watercolor artist, in addition to the oil painting I was doing, and now I am a recognized artist and teacher in oil, watercolor and colored pencils.